This is my final Fashion Friday forever…well, quite a while anyway. I’m off on a fashion adventure for a WHOLE YEAR. So au revoir to my fellow chic librarians, fashion fans, and readers! Stephanie has bought some new ebooks recently, including a couple of popular series and some intriguing plot-lines. 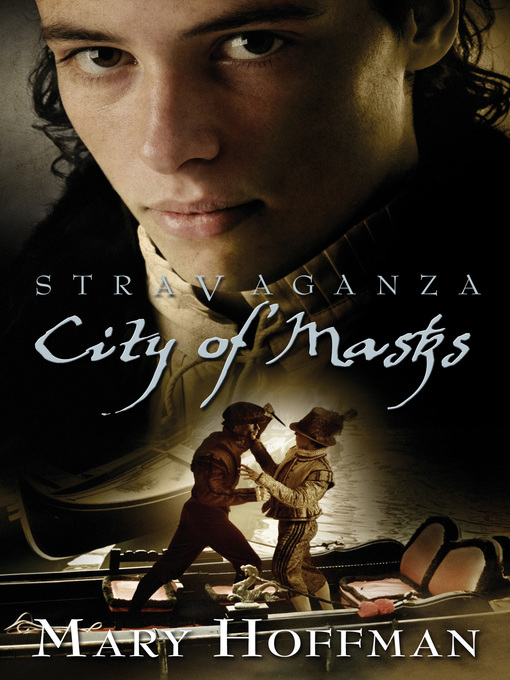 Stravaganza: City of Masks, City of Stars, City of Flowers, by Mary Hoffman. We have the first three books in this very popular series as ebooks (you can also reserve the paper version of the soon-to-be-published latest, City of Swords). The official series website is here. Gossip Girl series, created by Cecily von Ziegasar. We’ve recently acquired heaps of these (approximately 13), including the first book, It Had to be You (the prequel), and Don’t You Forget About Me (which we partly mention because that’s the name of the theme song of the excellent The Breakfast Club (outstanding teen movie from the 80s! ($4.00 for 1 week))). The Académie, Susanne Dunlap. Eliza Monroe is the daughter of the soon-to-be fifth president of the United States (true story!). It is only fitting, then, that she attend an exclusive academy in Paris. She’s not too thrilled at the notion, until she discovers she will be attending with the daughter of Josephine (of Napoleon and Josephine fame), who is marvellously called Hortense de Beauharnais (true story) and the younger sister of Napoleon himself (Caroline). More intriguing: the two girls hate each other. Paris in the early 19th century: what a place to be! The Pledge, Kimberly Derting. In the far future the world is divided strictly by language, and the language you speak is a matter of life and death. This world is complicated for Charlie, as she is gifted with the ability to understand all languages. When Charlie meets Max, who speaks a language she’s never heard before (but can understand, of course), she’s intrigued, but Max understands the danger Charlie is in: can he protect her as war threatens? Note: you need Adobe Digital Editions to download ebooks. This step-by-step guide will tell you everything! For more ebooks, visit our Overdrive homepage. To Kill a Mockingbird, Harper Lee. First published in 1960 and first challenged in 1966, To Kill a Mockingbird has got staying power, and was number 10 on the list in 2011. Not bad for a 51 year old. Brave New World, Aldous Huxley. This was first published in 1931, and first banned in Ireland in 1932. Like To Kill a Mockingbird, it’s on the 2011 list (number 7), and is also regarded as a 20th Century classic. Even classic novels court controversy! Lauren Conrad’s back! At the library, with a new book that is. A companion book to her previous guide – Lauren Conrad: style – and filled with beauty tidbits from her blog. The book has just been ordered and isn’t on the shelves yet, but be the first to reserve it HERE. Another fashion book, just ordered for the Young Adults collection, you might want to check is Fashionable by Owen Weldon. It covers the more outlandish trends of fashion history, such as the dandies of the Macaroni Club – and just whatever that is you can see here. First sentence: My sister and I often rode past the convent that summer. Another Faust, Daniel & Dina Nayeri (387 pages) – this novel is a companion to Another Pan, and Another Jekyll, Another Hyde. Set in an exclusive academy (which we like). Five children from various cities across Europe mysteriously disappear, only to turn up seeveral years later in New York, together with an unusual governess. Together they attend the Manhattan Marlowe School, exhibiting unusual powers bestowed on them by their governess. Having unusual powers is a bit of a head rush, but there’s a dangerous side, which they may discover to their detriment. First sentences: Victoria didn’t have time to play. She didn’t have time for friends or laughing or jumping or any other things little kids do. The Kill Order, James Dashner (327 pages) – For Maze Runner fans. Before the Maze, there were the sun flares, and the infectious disease of the mind that drove the people of the eastern United States to madness, threatening humanity. Amongst all the chaos, Mark and Trina wonder if there is something they can do to stop the devastation of civilisation as they knew it. 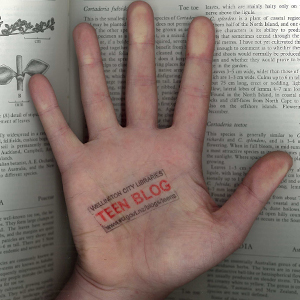 First sentence: Teresa looked at her friend and wondered what it would be like to forget him. Such Wicked Intent, Kenneth Oppel (310 pages) – the disturbing story of young Victor Frankenstein continues (after This Dark Endeavour). Victor has turned away from alchemy, but can’t resist the temptation when another possible way to cheat death presents itself. He, Elizabeth, Henry and Konrad travel through a portal into the spirit world and “unknowingly unlock a darkness from which they may never return” (cover). First sentence: The books flew open like startled birds trying to escape the flames. First sentence: What do you do the moment your father discovers your dead mother is still alive, standing in his apartment looking not a day older than the day she died – over seventeen years ago? Throne of Glass, Sarah J Maas (405 pages) – Celaena is an assassin, freed from hard labour by Crown Prince Dorian, provided she defeat 23 other assassins and assorted killers in a gladiatorial competition. The winner becomes King’s Champion. Sounds simple enough, except that before the competition begins the competitors all start dying in mysterious and horrible circumstances. Something evil is afoot, and can Calaena find the cause before her world is destroyed? First sentence: After a year of slavery in the Salt Mines of Endovier, Calaena Sardothien was accustomed to being escorted everywhere in shackles and at sword-point. More stuff! Including more zombies. Flesh & Bone, Jonathan Maberry (September/October). The third in a trilogy (maybe?) that started with Rot & Ruin. “In the Rot & Ruin… everything wants to kill you” (goodreads.com). Everything means escaped zoo and circus animals, and a new breed of zombie, who are faster and smarter. How is it possible then for Chong and his friends to survive? Tom better have trained them well. Plus we do like the rather disturbing cover. Iron Legends, Julie Kagawa (September/October). If you’ve been reading Julie Kagawa’s Iron Fey series, then you might like to read these three novellas in one volume (called ‘Winter’s Passage’, ‘Summer’s Crossing’ and ‘Iron’s Prophecy’). Divergent, by Veronica Roth. It has been announced that the film will be released in March 2014. See here for more. No word on the title of the third book (commonly called Detergent). The Raven Boys, by Maggie Stiefvater (today is its official publication day – this link here should take you to the first two chapters, courtesy of ew.com). This LA Times article here also says that the author’s book The Scorpio Races is going to become a film also. Maggie must be very happy. Numbers, by Rachel Ward. The script for this is being written at the moment. Here’s a review of the book, about a girl who can see the date of a person’s death in their eyes. The Changeover, by Margaret Mahy. Margaret Mahy’s New Zealand classic might get made, with a little help from American backers, according to TVNZ, and Stuff and others. Re-Draft is an annual writing competition for teenagers organised by the School for Young Writers in Christchurch, and it’s now on! Entries close on the 30th of September, and the entry form for the competition is here. The best entries get published in the annual Re-Draft anthology (which gets named after one of the stories in the collection). This year’s judges are Tessa Duder and James Norcliffe, who are, we are told, really looking forward to seeing what this year’s entrants have to offer. We have some previous years’ anthologies in the library. The horror of birds, zombies, and negotiating the criminal underworld in a bleak, futuristic New York. Adaptation, Malinda Lo (October) – Birds! Birds are flying into planes and cars, causing horrific crashes and devastation on a vast scale. The US government fears terrorism, grounding all flights and enforcing curfews. Reese and her friend are making their way back from Arizona to San Francisco when all this happens. Their car flips (bird strike) and Reese wakes up in a military hospital and what seems to be a whole new world. When she finally makes it to San Francisco she gets the sense that something’s really off (and that’s not just the sense that someone or something is following her). Can Reese find out what’s going on? Alice in Zombieland, Gena Showalter (October also) – the first in the White Rabbit Chronicles series. Alice is in a car crash that claims the lives of her whole family (it wasn’t birds). This is tragic, but to make matters truly worse she wakes up in a world populated by zombies: the monsters her father was warning her about. Now she must become a zombie-slayer in order to survive, and also learn how to trust (and get along with) bad boy Cole.